Ecofest North is a vibrant, community-led festival brimming with inspiration and fresh ideas for your home, backyard and community. North Shore to Matakana 15 March – 13 April 2014. 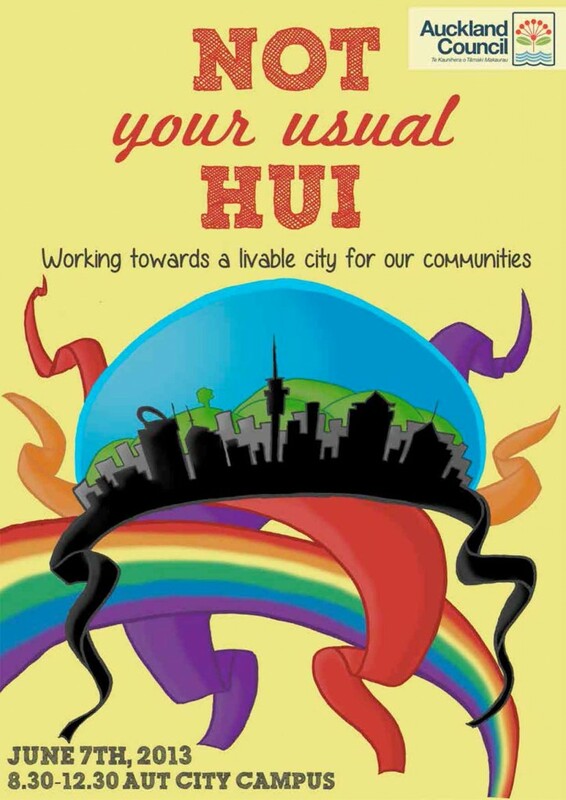 It is supported by Auckland Council, and co-ordinated by Kaipatiki Project. Venue: Recreation Centre, Awhina House, Royal New Zealand Foundation of the Blind, 545 Parnell Road (Parkside Entrance. Parking is behind the Jubilee Building. Entry to the Recreation Centre is from the car park). Time: 10.00 am – 1.00 pm. Do all businesses in Auckland keep the pavements clear so you can navigate them easily with your cane or wheelchair? Do you have any feedback for Auckland Council and Auckland Transport about how bylaws could improve our streetscape? The Auckland Council and Auckland Transport are reviewing the regulations that relate to trading in public places and signage as part of the wider bylaw review project. The purpose of the review is to look at the existing regulations and develop two new bylaws to control the use of signage and trading in public places in Auckland. The reviews aim to identify common issues with signage and trading and identify the most appropriate means to address those issues. Where necessary we will develop bylaws (Auckland Transport and Auckland Council) to protect the public from nuisance, maintain public safety and amenity and minimise potential offence as a result of unregulated signage and trading activities. A three hour workshop has been set up for Thursday 29 August from 10am until 1pm at the Recreation Centre, Awhina House, Royal New Zealand Foundation of the Blind at 545 Parnell Road (Parkside Entrance. Parking is behind the Jubilee Building. Entry to the Recreation Centre is from the car park). The venue has level access with onsite car parking, including accessible car parks and accessible bathroom facilities. A PA system will be used. New Zealand Sign Language Interpreters have been booked for the forum. please confirm if you will need the Interpreters by Thursday 22 August by emailing Kristin Spyve or Rebekah Stuart- Wilson. Please RSVP for the forum. Can you please RSVP to Kristin Spyve or Rebekah Stuart- Wilson on the below contact details by Thursday 22 August. Please also contact Kristin or Rebekah to discuss any other access needs. An agenda for the forum will be emailed to all registered participants on Monday 26 August. A 17 page summary analysis of the life experiences of older Aucklanders has been released by Auckland Council’s Research Investigations and Monitoring Unit: Charles Waldegrave and Peter King of the Family Centre Social Policy Research Unit and Elizabeth Rowe of Elizabeth Rowe Consulting. 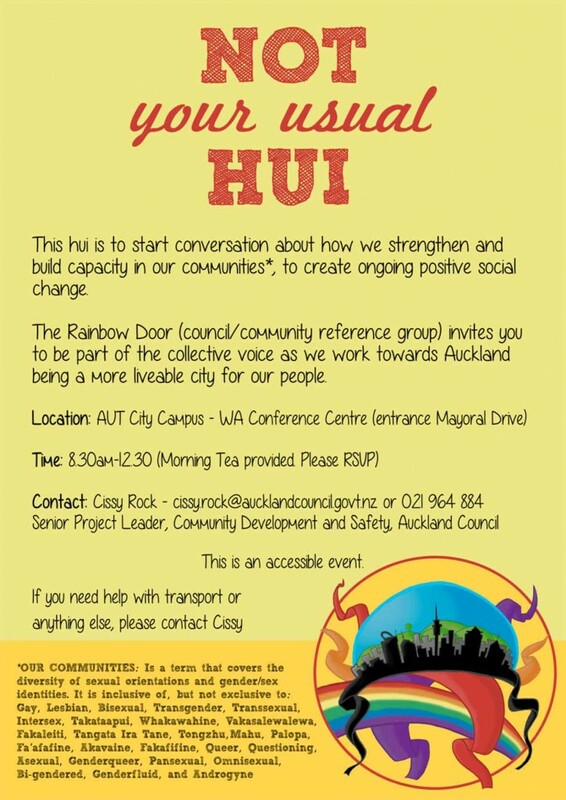 Please take the time to review at least the summary as the information contained within is very relevant to us all who are working with older people in the community in the Auckland region. The full report (140 pages) is available on the website below for those who wish to read more detail and graphs. Councillors, local board members, council staff, community groups and the public are invited to attend a lunchtime learning session with Natalie Nicholles, associate director of the consultancy arm of the London-based new economics foundation (nef) to hear about their community development approach to building diverse and thriving local economies, that put people and the planet first. Access requirements? Ensuring that events are inclusive and provide access with dignity is important. Please let Tania know ASAP if you have any access requirements. how public bodies can make a difference to local economic development. Natalie specialises in organisational strategy and triple bottom line cost benefit analysis across a range of areas. She has a strong business management background having previously worked for a FTSE 100 company and a leading leprosy and tuberculosis international NGO. She is also an accredited practitioner of Social Return on Investment (SROI) and is the only member of nef consulting with exceptional fluency in both French and modern dance. Auckland Council is currently conducting a research on young migrants (generation 1.5 migrants who have migrated to NZ when they were young or in their teens) to identify what their challenges and issues are with regards to employment and business. It would be great if you can kindly participate in this survey (if applicable to you) and/or are able to pass the survey link to your young network as well as your friends who are 1.5 migrants (particularly those aged between 18 and 40) for their participation. The outcomes of this survey will support various initiatives the Council will drive for young migrants. Therefore, your participation will be much appreciated and it would be great if you can share this link with your network. The survey will end on 28 March 2013. Looking for something to do? Come along and enjoy free guided ranger walks in the south and east of Auckland. The ranger will guide you on a journey to experience the natural and cultural heritage in these varied ecosystems – forest landscape, coastal walkway, estuary, saltmarsh wetland and volcanic stonefield. Develop an awareness of the environmental issues that face the area today and get to know some of your park environments.